A great looking admin theme with lots of extras like pulldown menus. 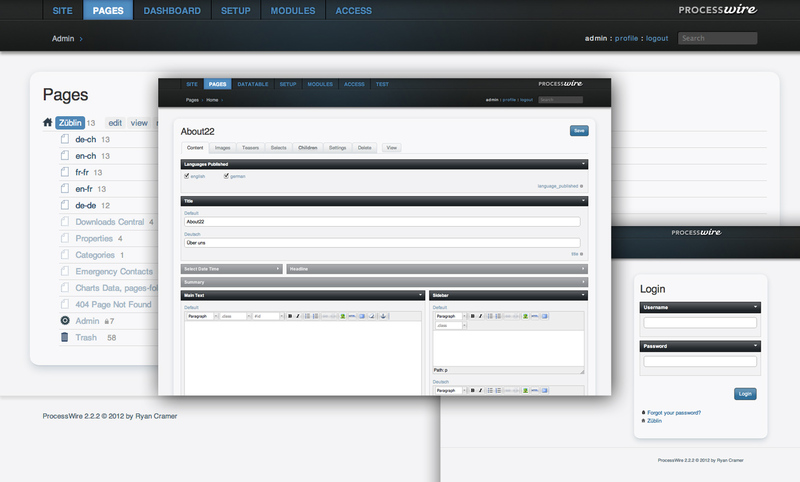 A custom admin theme for ProcessWire2.1. This theme rocks - I won't use anything else! Fantastic work!! Hey mindplay.dk! Thanks, glad you like it. Just updated it today with some fixes. when will this theme be available for PW 2.4? I would like to see a compatible version of this theme for PW 2.4 too. Please, update this THEME for combatibility reasons to PW Version 2.5! Sorry guys, but this would require a complete rebuild of the theme for 2.5, and I don't have the time to do so. Also it takes a lot of time and maintenance to have a theme running and keeping with the pace of PW and I'm not willing to do spend my time on something that is done very well with the default and reno theme already.